Lazing on our palm fringed sun terrace, you could easily imagine yourself to be on the Cote d’Azur. Just beyond the manicured emerald lawn, the azure sea sparkles in the sunlight. In this exquisite setting, you feel a million miles away from the hustle and bustle, yet it’s only a short stroll to Falmouth town centre and golden beaches. With its breathtaking position by the sea and 4 silver star facilities, you’ll soon fall in love with the Royal Duchy Hotel. All the facilities you need! The Royal Duchy was one of the first hotels set up in Falmouth over a hundred years ago. Today, it has a reputation as one of the top luxury hotels in Cornwall. Infact, in 2018 we became the only hotel in Falmouth to be given the award of 4 silver stars. Right by the sea, there's all the facilities you could want, including a heated indoor pool, spa treatments and a superb restaurant serving AA Rosette winning cuisine including day caught local seafood. Wake up to the sun rising over the bay and fall asleep to the sound of the waves. Let the Royal Duchy work its magic on you. 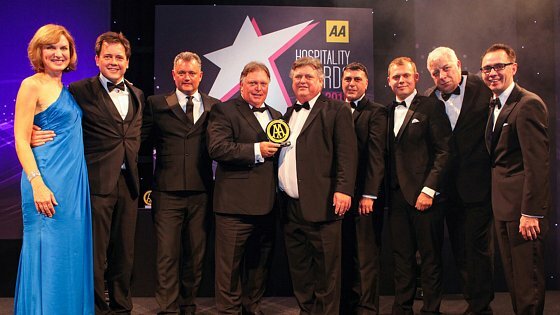 The Royal Duchy Hotel is part of the Brend Hotels group, winner of 'Hotel Group of the Year' in the AA Hospitality Awards 2015-2016. We are delighted that these prestigious awards have recognised our warm welcome and passion for excellence. 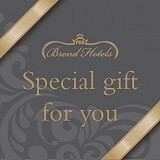 Brend Hotels is a family run company that has been a leader in West Country hospitality for over 50 years. The group has steadily built up a collection of fabulous hotels and restaurants across Devon and Cornwall that now features 11 luxury hotels and 18 restaurants. We see generation upon generation returning to Brend Hotels, drawn by our winning combination of luxurious facilities, stunning locations and outstanding customer service.